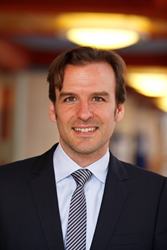 (Don’t) ‘Take this job and shove it’: Anger often decreases – rather than boosts – a person’s intention to quit a job when they identify strongly with their company, says new study co-authored by Dr Jochen Menges at Cambridge Judge. Anger is commonly associated with people quitting their jobs – as reflected in the hit 1980 song “Take This Job and Shove It” (“I ain’t working here no more”) by country & western artist Johnny Paycheck. More broadly, positive emotions are usually thought as leading to constructive outcomes and negative emotions to damaging outcomes for business and other organisations. A new academic study finds, however, that these generalisations are often a myth: When identification with a company is high, anger over job situations often decreases (rather than boosts) a person’s intention to leave because such employees want to stick it out and improve the organisation rather than walk out in a huff. Conversely, when a person’s identity with their organisation is low, anger increases their intention to quit, says the study published in the Academy of Management Journal. The practical implication of the research, the authors say, is that it is unwise for companies to broadly characterise specific emotions as beneficial or detrimental to the organisation. As a follow-up, the study looked at actual turnover at the flight training company six months after the last survey of employees – and found that turnover intention in that final survey had significant correlation with actual turnover. The study – entitled “The Meaning of my Feelings Depends on Who I Am: Work-related Identifications Shape Emotion Effects in Organisations” – is co-authored by Samantha Conroy of Colorado State University, William Becker of Virginia Tech, and Jochen Menges of Cambridge Judge Business School and WHU – Otto Beisheim School of Management.